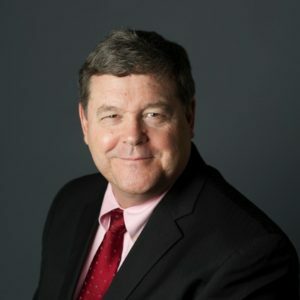 John W. Jimison is the Executive Director of a diverse coalition, Americans for a Clean Energy Grid, working to expand, integrate, and modernize the high-voltage electric grid as a prerequisite to a clean energy economy. He previously served in the role of Managing Director of the Energy Future Coalition, a non-profit think-tank associated with the United Nations Foundation, where he managed bipartisan policy development projects related to high-voltage transmission, clean fuels, and the transition of the electric distribution sector. Prior to joining the Energy Future Coalition in 2011, Mr. Jimison served as Senior Counsel to the Energy and Commerce Committee of the U.S. House of Representatives, advising Chairmen Henry Waxman and John D. Dingell, and the committee’s other members on a range of legislative issues in energy policy. His responsibilities included energy efficiency, regulatory matters, energy markets, and electric grid modernization. He was a principal House staff counsel on the energy-related provisions of the American Recovery and Revitalization Act of 2009, the energy efficiency and electric-grid provisions of the Energy Independence and Security Act of 2007, and numerous other House-passed energy-related bills. He bore lead staff responsibility for Titles I and II of the Clean Energy and Security Act of 2009 (Waxman-Markey), as enacted by the House of Representatives. Mr. Jimison practiced energy and regulatory law from 1986 through 2006 in Federal and state forums. He was recognized as a leading national advocate for clean, efficient distributed generation and CHP, and as an expert on natural gas and electric utility matters. He continues to serve in the pro-bono role of General Counsel to both the International Association for Energy Economics and the U.S. Association for Energy Economics, and has served as an Adjunct Professor of Energy Policy at the Johns Hopkins University. From 1982-1985, he was Principal Administrator at the International Energy Agency in Paris, France, responsible for electricity and natural gas policy and analysis, as well as country expert for Spain and Australia. During the period from 1972 through 1981 he held several positions on Capitol Hill, including a previous period as Counsel to the Energy and Commerce Committee, service as Head of the Energy Section of the Congressional Research Service (Library of Congress), and as Professional Staff to the Senate Commerce Committee. He is a graduate of the College of Wooster and Georgetown University Law Center, a member of the District of Columbia and Virginia Bars, a member of the Energy Bar Association, and a former Peace Corps volunteer in Somalia, East Africa.